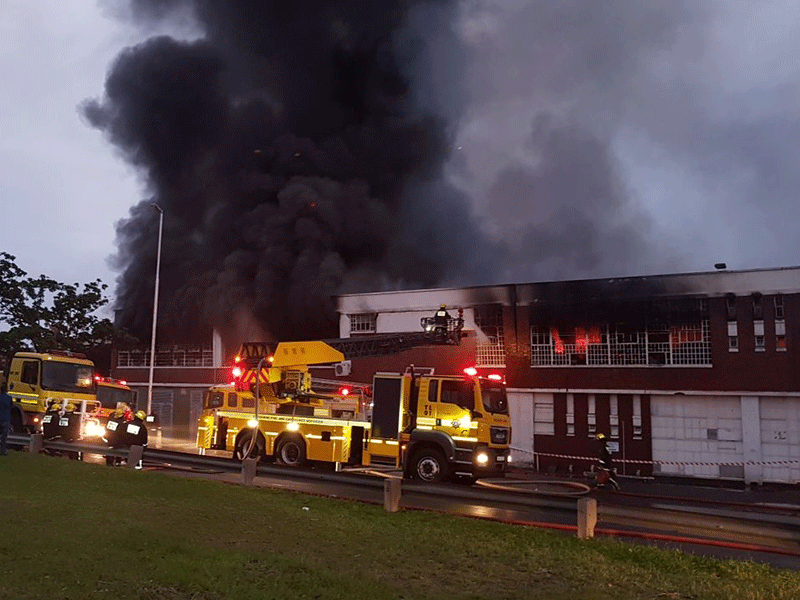 A fire that's raged through a building along South Coast Road, south of Durban, has been burning since the early hours of this morning. "We have been on scene since 1am this morning. I can confirm that at this stage - no injuries have been reported," Rescue Care's Garrith Jamieson says. 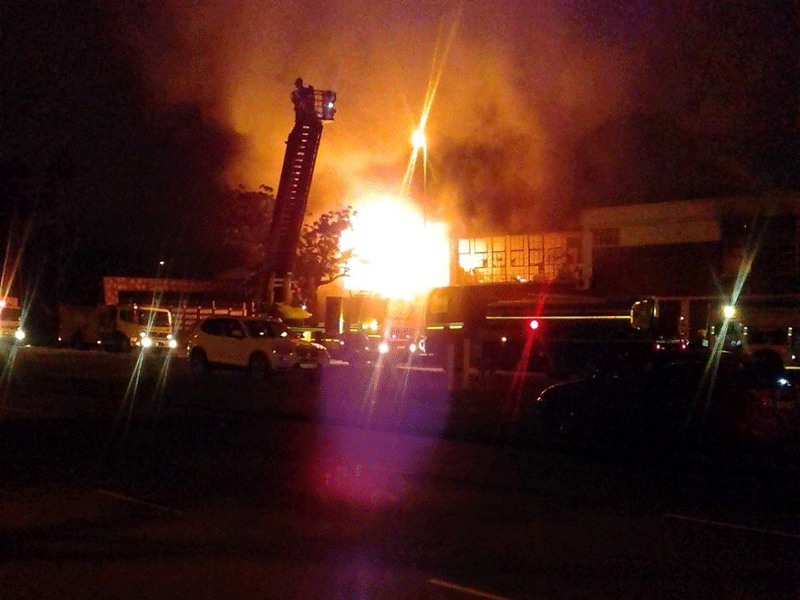 Jamieson says the flames were seen towering above the double-storey building earlier. Teams of fire fighters have been working continuoisly to contain the blaze. "At this stage - the fire department is fighting a small fire. The building is extensively damaged. 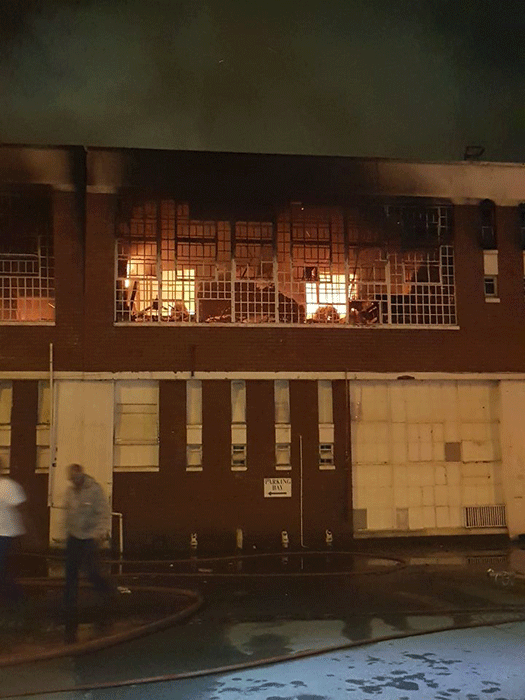 The fire was raging from about 1am and the Durban Fire Department has done an excellent job trying to contain it. There is still some smoke smoldering. The fire department are dampening down the last hotspots," he says. Traffic in the vicinity of Kenyon Howden Road has been affected. For more on this and other developing stories, here's your latest Newswatch bulletin.